Structures of Grace - The Business Practices of the Economy of Communion was written by John Gallagher and Jeanne Buckeye about the first and largest socially-responsible small business network in the world based on a work lifestyle of communion - The Economy of Communion (EoC). The book highlights the practices of North American businesses that are part of the EoC worldwide network, whose beginning was inspired by Pope John Paul II's encyclical Centesimus Annus, and later referred to by Pope Benedict XVI as "...a broad new composite reality embracing the private and public spheres, one which does not exclude profit, but instead considers it a means for achieving human and social ends," and that "views profit as a means of achieving the goal of a more humane market and society" (Caritas in Veritate, 4:46). 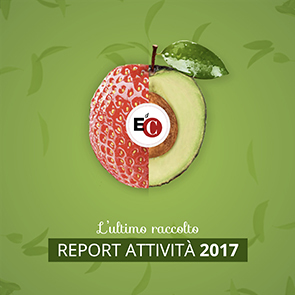 Originating in the Focolare Movement under founder Chiara Lubich, the EoC is a response to the problem of poverty. Now with over 23 years of experience in helping to break the cycle of poverty throughout the world, the practices of EoC enterprises need to be shared on a wider scale. A crowd-funding campaign is a simple way of helping defray the costs of making this book available to as many people as possible who might be inspired by the EoC. Thank you for whatever you are able to provide to this worthy cause!